I’m Robert Bone, and as a professional magician and mind reader I perform magic at a wide variety of events across the UK. I currently live in Berkshire, and have family and friends in Hampshire and Dorset where I grew up and started my career as a professional magician. Over the years I have entertained at events such as corporate hospitality in London, exhibitions in Birmingham and even 6 hours in a box in Millennium Square, Bristol for BBC TV! Living in the Home Counties means that I have easy access to other parts of the country, and regularly entertain at Christmas parties for The British Army on Salisbury Plain in Wiltshire and RAF bases in Oxfordshire. I am also a recommended supplier to many venues, for example, I regularly perform at weddings at the great venues in Burnham, Buckinghamshire. I also travel further afield and have even been booked to entertain at Weddings in Oslo, Norway! Robert Bone was born in Southampton on April Fool’s Day, and after a day of labour his mother managed to coincide the birth of her first-born with the running of Grand National that afternoon, much to his father’s disappointment. As a child Robert’ s interest in science meant that many items were dismantled to see how they worked, and this led to studying Physics at Exeter University. Midway through the course Robert discovered that the mathematics used in quantum theory wasn’t as exciting as the University’s prospectus promised so left to commence a career in financial services. Despite this turn to the “dark-side” Robert still enjoys the pleasurable side of science and is a keen astronomer (having a GCSE in the subject), has a collection of telescopes and is currently planning to convert a shed into an observatory at the bottom of his garden where he plans to image planets, galaxies, nebulaes and asteroids. Having obtained the qualifications to become a financial adviser Robert specialised in mortgages, first self-employed, then working for a chain of estate agents in Dorset. It was in October 2003 that he joined this company and was sent on a 4 week residential training course with other new starters. As the only person on the course with the qualifications and experience he decided to pass the time learning some card tricks in the evenings. This started Robert’s hobby in magic – something that most people do as children but soon grow out of. He found shops selling magical books and props and also joined a local group of Magicians, The Wessex Magical Society. After a mere three years of performing magic as a hobby Robert quit his job as a mortgage adviser (also, the daily urge to bop his under-qualified boss on the nose was becoming too much) and became a full time magician. Although wanting to focus on card-tricks and mind-reading Robert had a mortgage to pay so also performed as Magic Rob at children’s parties. 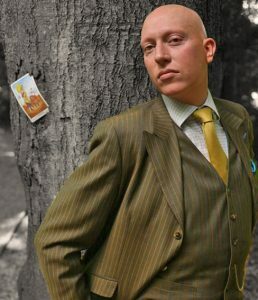 Robert joined The Magic Circle in 2008. This entails being proposed by two existing members, an interview at the headquarters in London, then an audition. The audition is before many of the members, including a judging panel where the applicant is judged on technical ability as well as presentation skills. Robert passed the audition on his first attempt. To set himself apart from other magicians Robert rebranded himself from “Professional Magician” to a “Demonstrator of Extra-Sensory Curiosities”. This new title highlights his style that tends to focus on mind-reading and the psychological side of the art, whilst still performing sleight of hand magic. After five years since turning professional Robert also managed to put “Magic Rob” to bed, performing his last children’s show in early 2011. Robert’s blood-pressure has been lower ever since. As a professional magician Robert performs at many events. During the summer months he is often found mingling guests at weddings. This is often whilst the bride and groom are off having their photographs taken and the guests have been left to sip champagne and make awkward small-talk, or in the evening around the tables prior to the disco. Robert is also in the process of setting up a company that focuses on entertainment at corporate events and functions, as well as using magic to help companies promote their products and services at exhibitions and trade shows. He is also promoting his cabaret act, and considering taking the show to the Edinburgh Festival. Over the years he has been performing as a professional magician he has found himself in many unique situations. On one memorable occasion he performed at a Summer Ball on a RAF base and had to cut his performance short whilst a Hawker Hurricane demonstrated strafing runs barely 50 foot over the assembled crowd – obviously Health & Safety regulations are different on RAF bases. Many magicians perform in glamorous locations around the world and meet the rich and famous. Robert is an exception to this rule. However, he does hold a valid passport and would love to perform at your party, especially if it is in Barbados. His email is robert@robertbone.co.uk. As an experiences professional magician (and past President of the Home Counties Magic Society) Robert is often asked questions by amateur magicians looking to become professional. To try and help Robert Bone has created the website How To Be A Professional Magician to answer questions and give those that are considering a new career in magic the resources to get started. 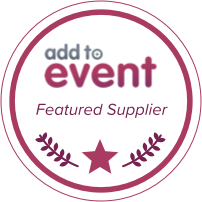 Robert can also be booked through Add To Event, and is one of their featured suppliers, click the logo to find out more.